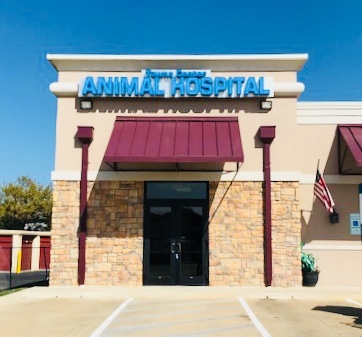 Welcome to Towne Center Animal Hospital. 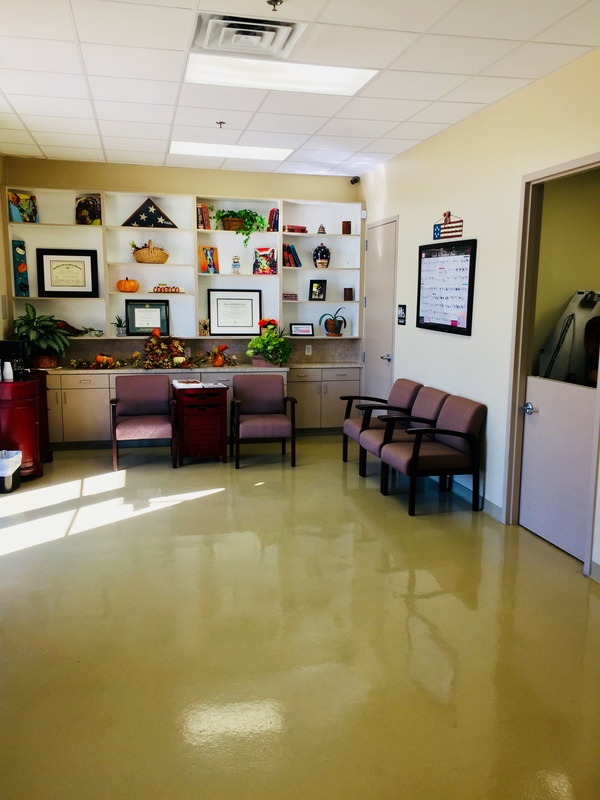 Please enjoy this tour of our facilities and see why Towne Center offers the best in animal healthcare. 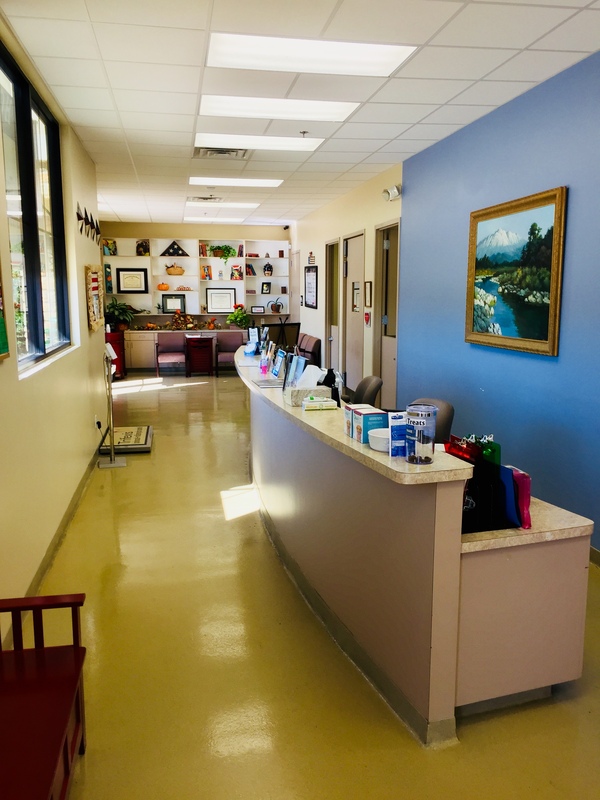 When you arrive, you will be greeted by one of our friendly customer service representatives who will get your checked in for your appointment. 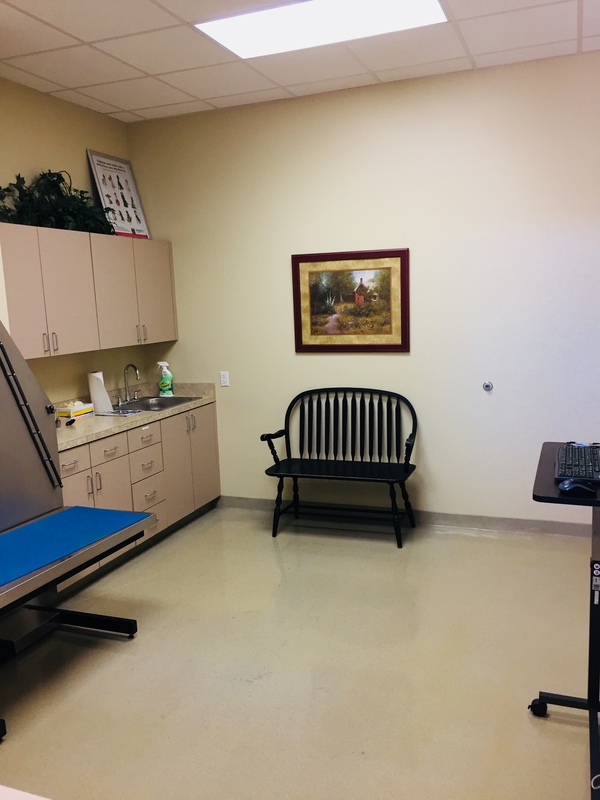 After checking in, you will be guided to our spacious waiting room where a veterinary assistant will greet you and take you and your pet to one of our three exam rooms. 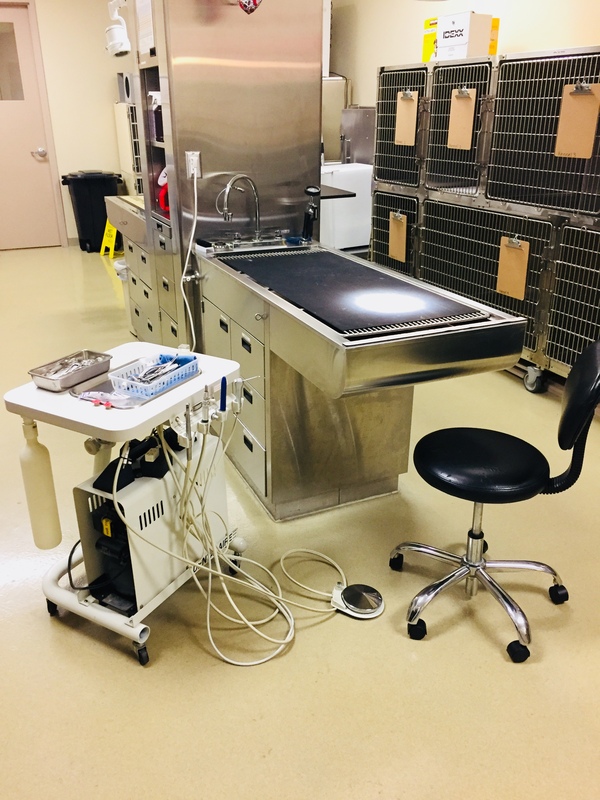 This is our largest exam room and is equipped with a hydraulic lift table to make it easier on our larger or senior pets that have a hard time getting up or down. 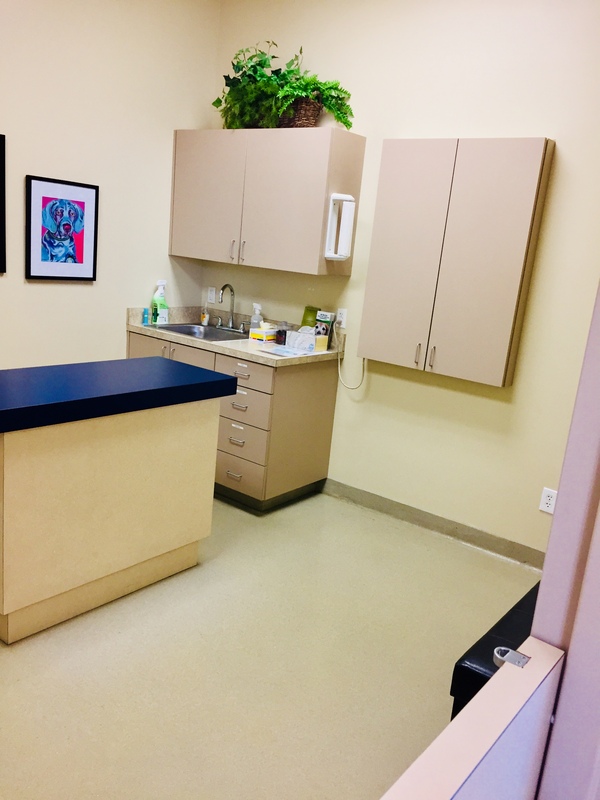 A very spacious exam room so your pet is comfortable and stress-free. 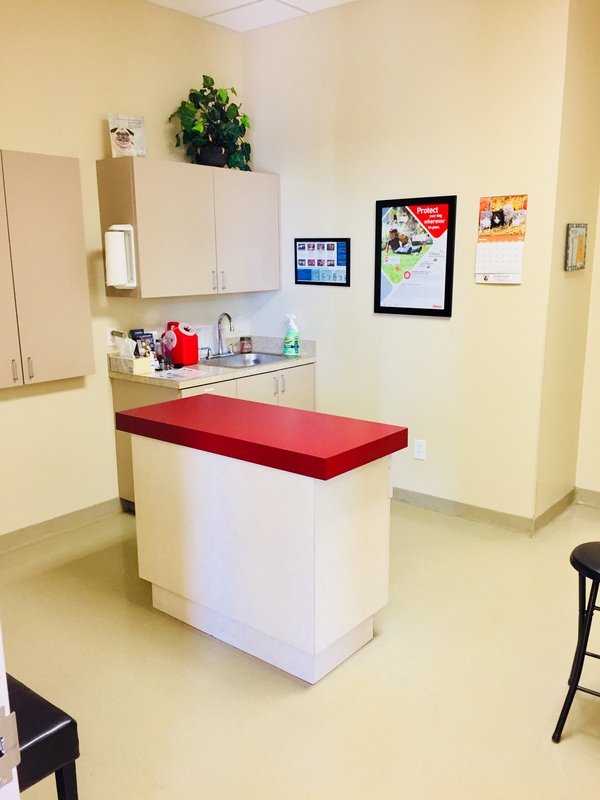 Similar to exam room two, there is ample room for your pet to move around and feel right at home. 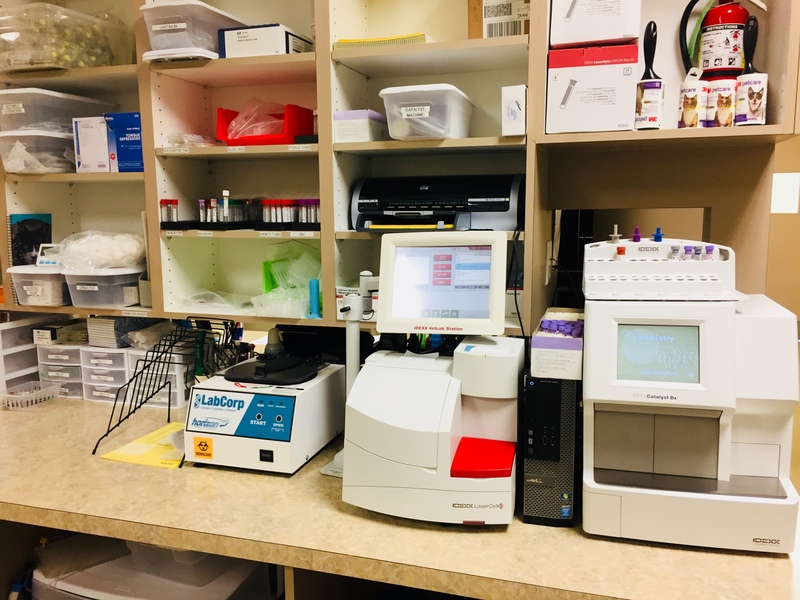 If your pet has a serious medical emergency, Towne Center is equipped with on-site laboratory machines that can analyze your pet’s blood in less than 15 minutes so treatment can begin quickly. 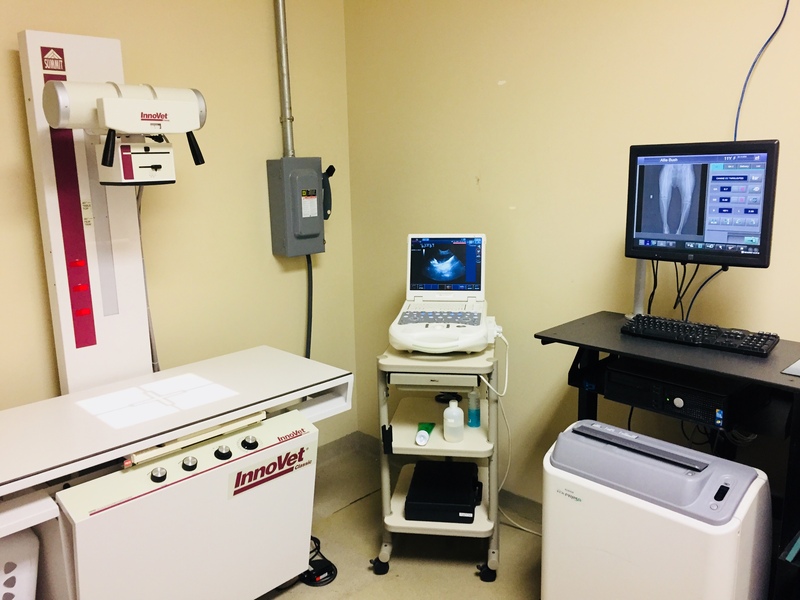 If your pet has any severe injuries or ailments, Towne Center has advanced imaging techniques with digital X-Ray as well as ultrasound for checking the internal organs and bones. 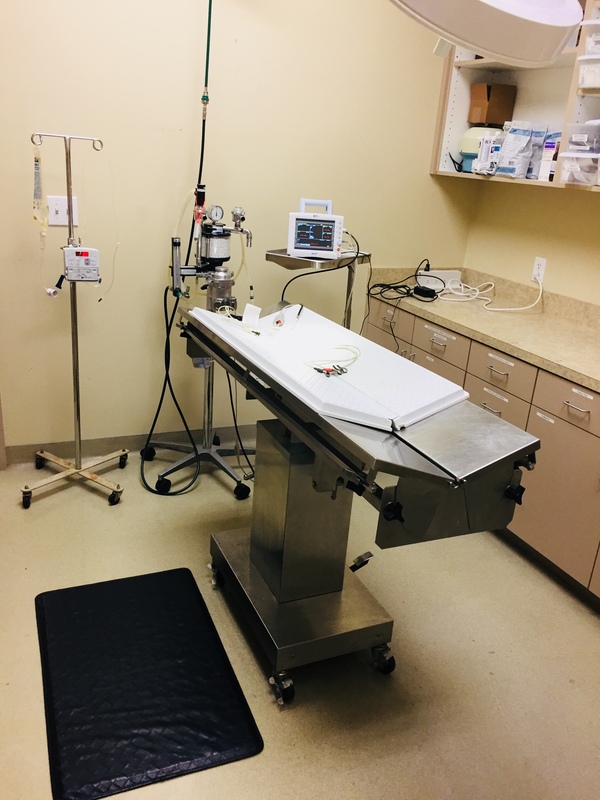 Towne Center has a fully equipped surgical suite with modern anesthesia monitoring equipment to handle routine procedures as well as any emergency surgeries. Should your pet need dental work, Towne Center Animal Hospital is fully equipped to clean and polish your pet’s teeth. Should any extractions be needed, both of our veterinarians are extensively trained in modern dental techniques and can resolve numerous problems. 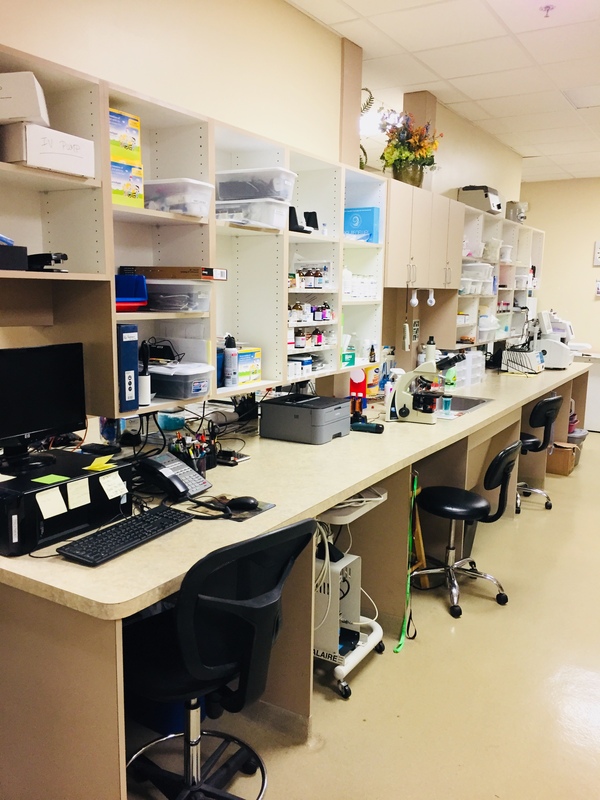 Towne Center has an extensive pharmacy on site so your pet can get the medications they need before you leave and get them relief as soon as possible.